So you have an iPhone XS Max with its impressive battery life, but it's still not quite enough, right? Fortunately, the solution is easy: slap a battery case onto your beast of a phone! We've rounded up some of the best options that are currently available for the iPhone XS Max for you here. The MAXBEAR has you covered on all fronts with this slim battery case that packs in 5200mAh of extra juice to double your device's life. Plus, there's a kickstand so you can prop your Max up while watching video or Facetiming with friends. The Vproof battery case is a slim cover that you can slide your iPhone XS Max into and it'll become fully protected with a soft rubber material. This battery case has 6000mAh of juice to give you ample device life to last the day. The LifeePro battery case is super slim and has a 6000mAh battery packed into the back where the hump is. It's made from a soft-touch material that'll absorb shock from impact and falls, so your device remains safe and sound. 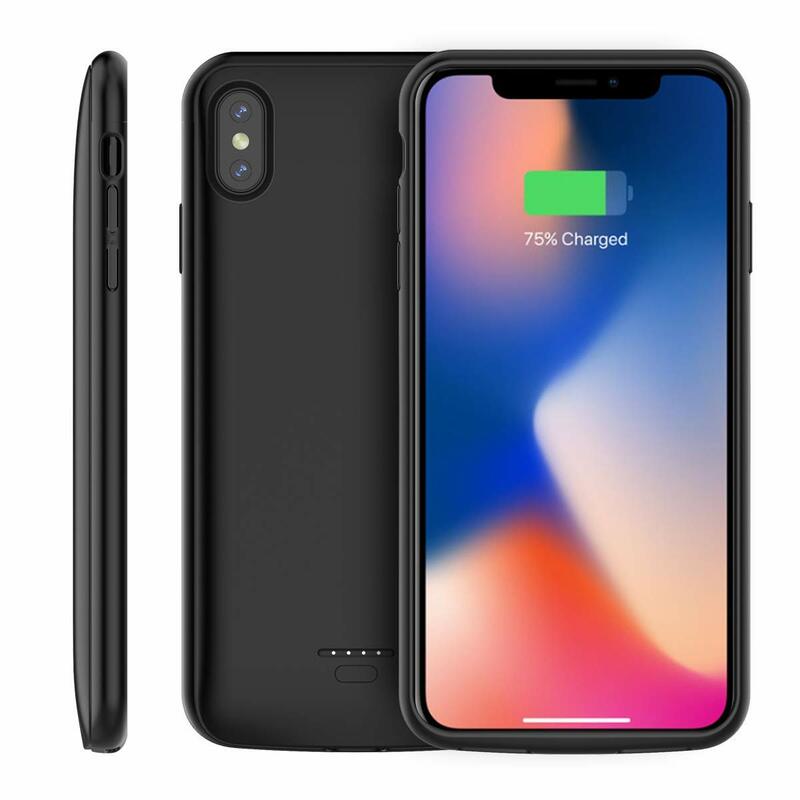 Vocalol is a trusted name in mobile accessories, and the iPhone XS Max battery case is a top-notch product. It packs in a 6000mAh battery in a slim profile, which gives you more than 130 percent extra power. There's also a magnet built-in so it works with magnetic mounts, and you have four color options to choose from. ZEROLEMON's battery case has 5000mAh of juice, giving you about 105 percent extra power. It's fairly slim with the hump and has a durable connector port. ZEROLEMON is also known for great customer service with their zero defect policy, so if you have any issues, they'll be on top of it with the guaranteed warranty. The Snowpink battery case packs in a 5000mAh battery into a slim and sleek profile. You can also listen to your music with wired Lightning headphones with this case, rather than needing Bluetooth earbuds if you so prefer. The case provides good protection from everyday wear and tear. If you're on a budget, the Moonmini is a good pick. It gives you a 5000mAh battery in a slim and protective profile. You also get a 6-month warranty but a lifetime of customer service and the price is certainly right. The Stigna case is super thin yet packs in a whopping 6200mAh of battery. It even has a kickstand so you can watch videos in landscape orientation comfortably. Your phone will almost never die with this case on it. 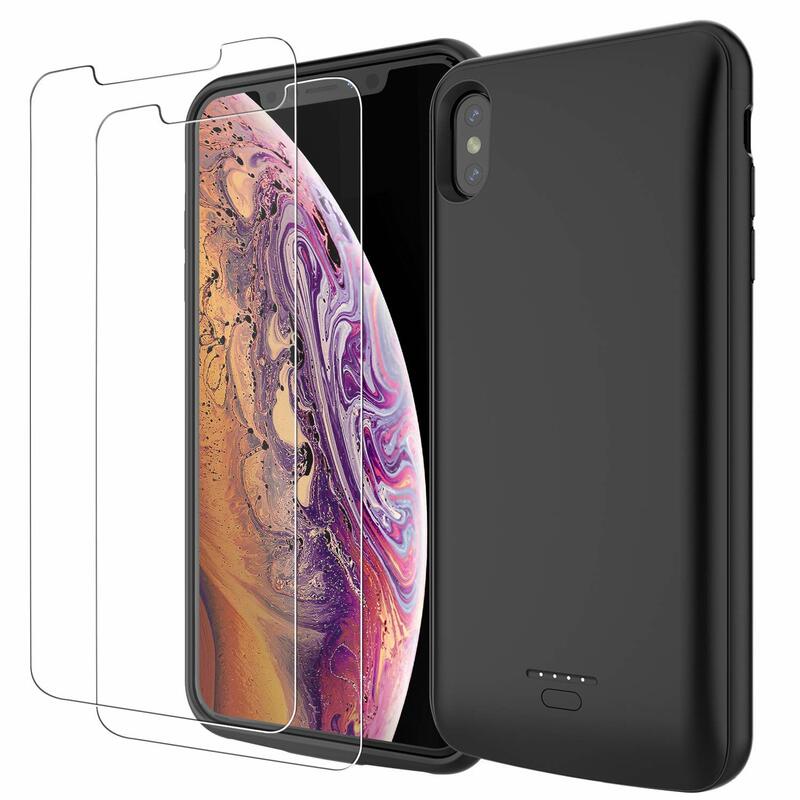 If you love having Fast Charge capability with your iPhone XS Max, the BasicStock battery case fully supports Fast Charge. It also has a fairly juicy battery at 6000mAh, and it's fairly thin for what it's worth. You'll be able to get through the day without worrying about a thing, as it provides everyday wear and tear protection. Those looking for a good deal won't be disappointed with this bundle from PEYOU. 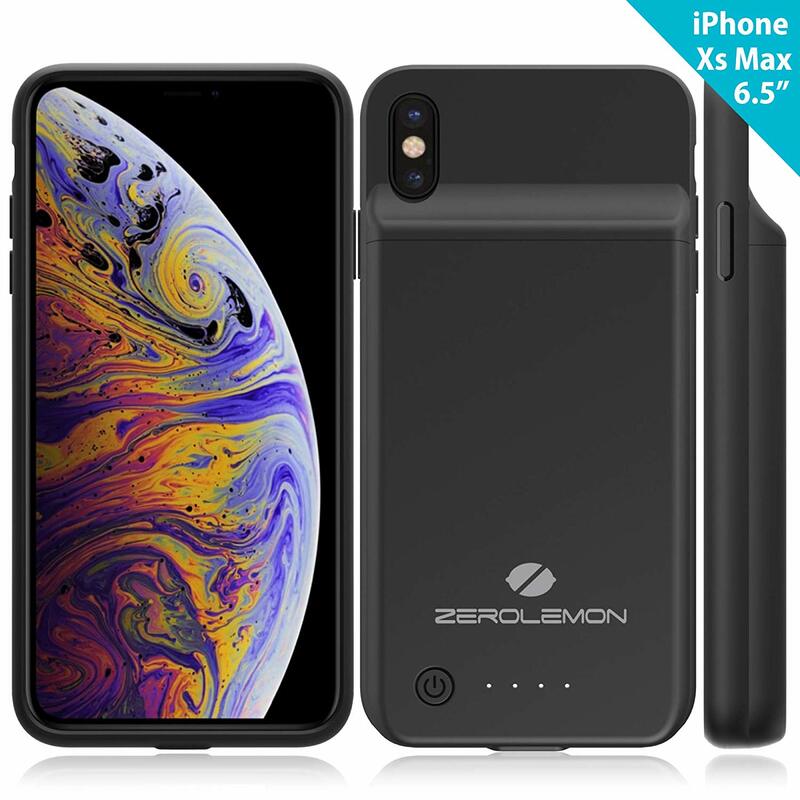 You get a 5000mAh battery case that protects and powers your iPhone XS Max, as well as two screen protectors. With this package, your device will be fully protected for cheap! With these great options for your iPhone XS Max, it's impossible to have to charge your phone in the middle of the day. These battery cases provide enough protection and give you enough juice to make it through the day without a single worry over where the nearest outlet is. Out of these, we recommend the Vocalol Extended Battery Case, since it's a big capacity and the brand is full of quality.